Happy Sweet Treats Thursday bloggies!! 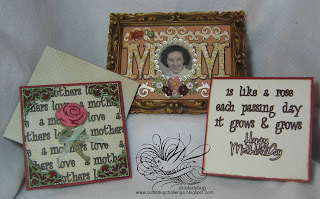 This week's theme at Cuttlebug Challenge is Mother's Day, featuring the Cricut markers. 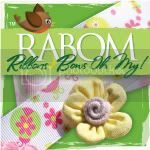 My fellow designers for the Cuttlebug Challenge Blog have created lovely projects to share with you also, so make sure you check out their projects for some divine inspiration. Also don't forget to sign up for this week's giveaway of the Cricut Cartridge Once Upon A Princess!! I was so excited and to be honest felt a little trepidation when I started trying to figure out something to create with the markers. To be honest *and everyone knows okie is an honest injun* I haven't used them much. 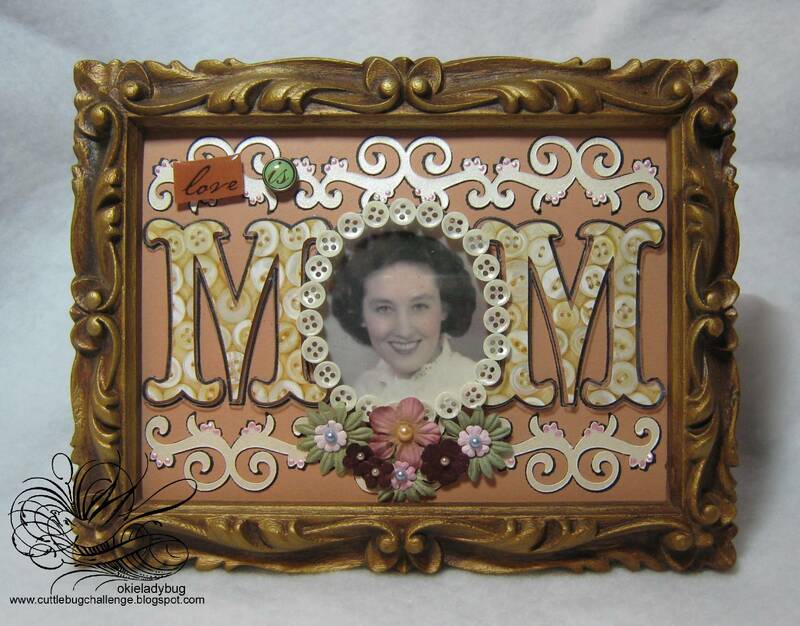 Since I haven't had to find a gift for Mother's Day in quite a few years I thought I would make something for myself with my mom as the subject. So for my project I chose to do a collage frame and a square card. 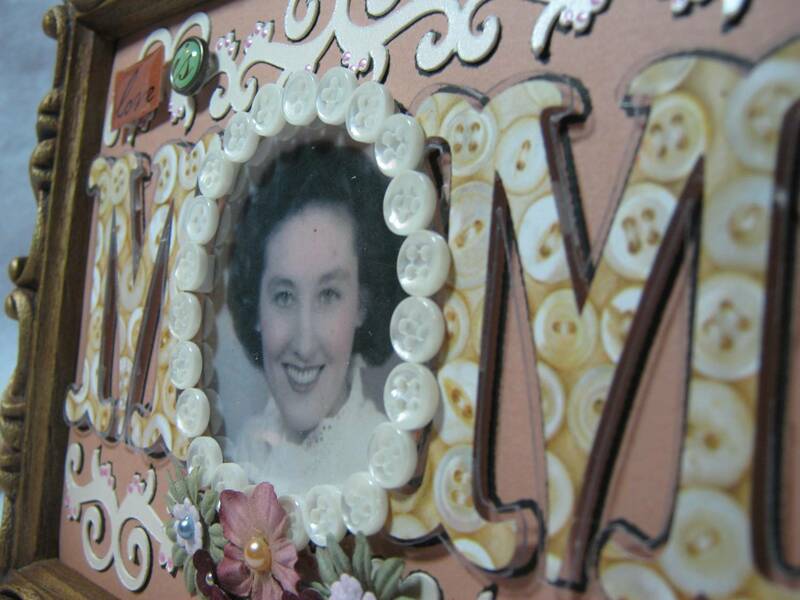 For collage frame and I used a picture of my mother when she was about 1 8 years old. 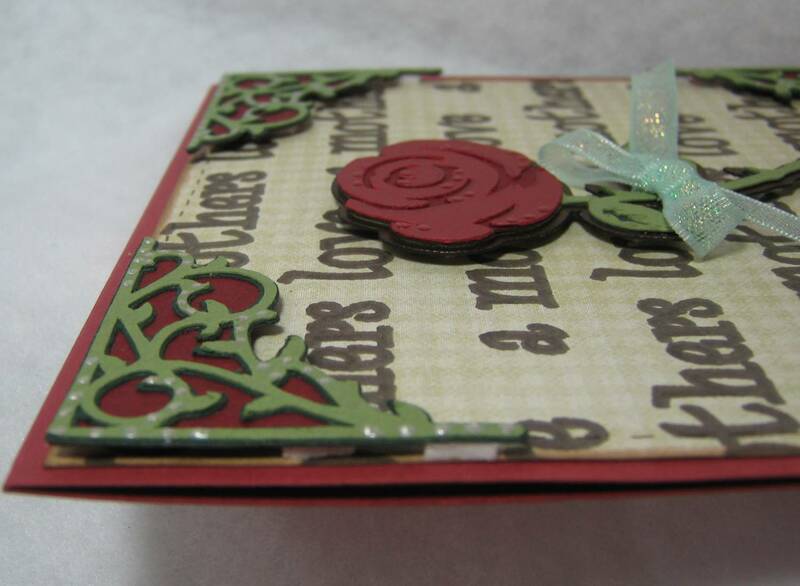 I used Storybook for the lettering and the swirls. 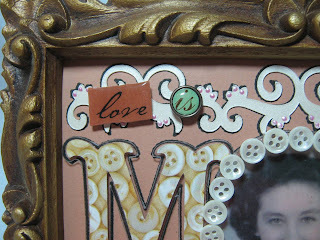 The Cricut markers were used to draw on the caramel colored cardstock and then did an overlay with the Cricut cuts. I think it added just the right subtle touch to the cuts. The flowers are Prima's with Kaiser Pearls for the centers. I cut the MOM out of acetate with the shadow effect from Storybook and then cut two M's out with the regular cut and adhered on top of the acetate. 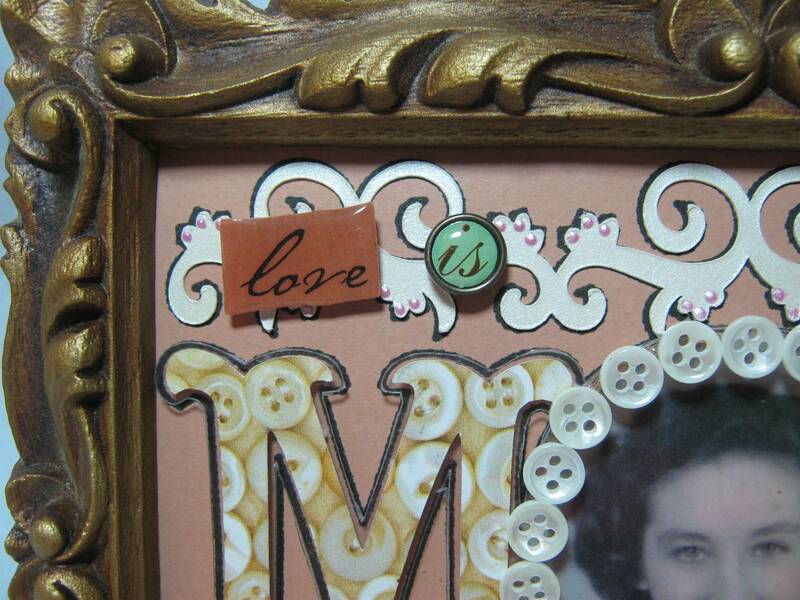 Using Zip Dry Glue I adhered small buttons to frame the picture, following the theme of the paper used for the letters. If you click the picture you can see how the acetate is pop dotted over where I used the Cricut marker outlined everything on the cardstock. The "love" is a K & Company sticker and the "is" is a brad but I am not sure of the brand, could be K & Company also *okie knew this day would come and hates having old timers disease*. I added some dots to the swirls with pink Liquid Pearls. I did add a piece of cardstock to the back of the "love" sticker and then pop dotted it *okie so loves dimension*. The brad is pop dotted as well. The card is a 5.5 x 5.5 square. I used the following carts: Lyrical Letters and Wild Card for the sentiment, Heritage for the corners and Indie Art for the rose. The sentiment is done completely with a Cricut Marker. Also for the corners I used the hide contour feature so I could get the blackout effect with the maroon color. I typed out "a mothers love" and then repeated the pattern in a staggered rows to make the background sentiment for the front of the card. 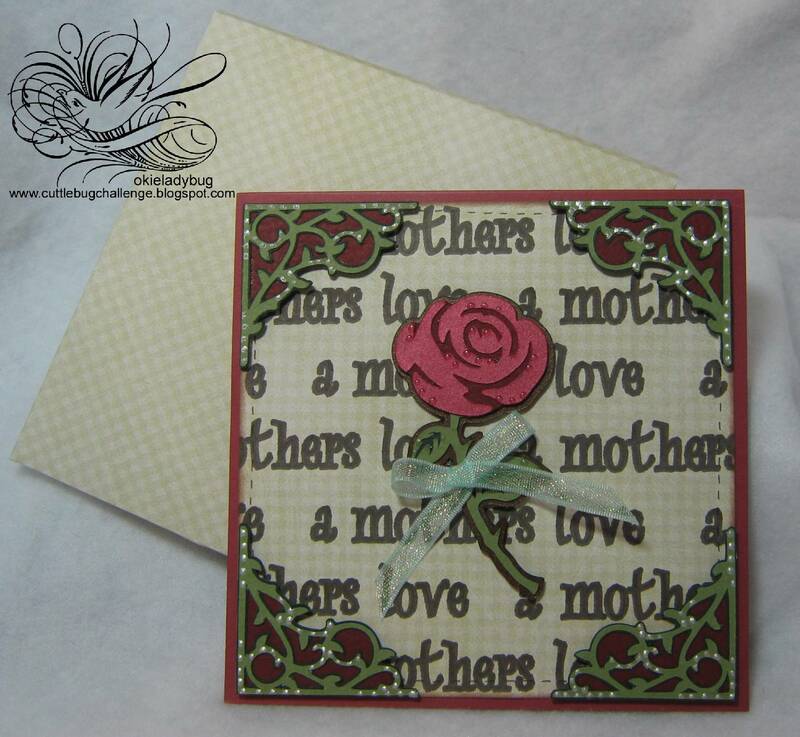 Here is a close up of the card so you can see the dimension and layers of the corners and the rose. Absolutely Beautiful! So much work but certainly worth it. 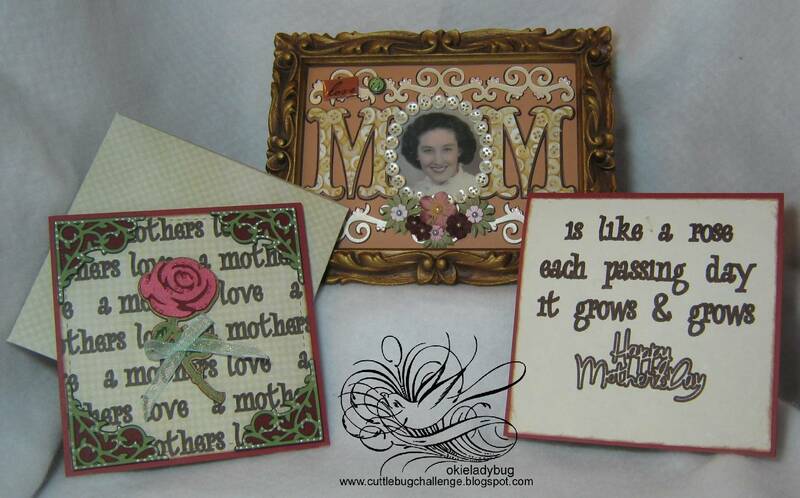 I love your idea of how to celebrate Mother's Day. 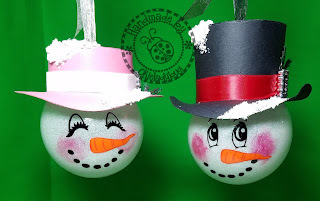 I would love to use this idea for myself and my husband. Thank you so much for this idea. I am blown away by the detail. You are so talented. 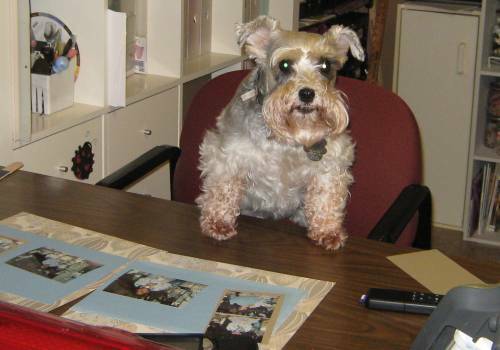 Wow, this is wonderful ... truly a labor of love! Absolutely stunning. 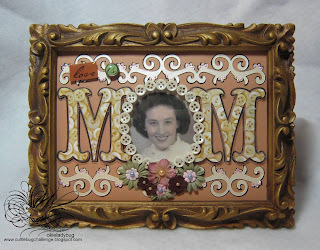 I love the framed photo that says MOM, how unique and beautiful. Thanks for sharing. Beautiful! I love both of them, but the frame is just gorgeous!!! TFS! That's a fancy simple card. My favorite that you've done so far, I think.